As the 5th largest producer of Malt in the World and the 2nd in Europe (producing 1 million ton malt per year), BOORMALT’s goal is to produce high qualitytypes of malt to meet the specific demands of our worldwide clientele of brewers and distillers. By utilising the most modernproduction techniques and far-reachinglogistics, we reach internationalmarkets in an efficient and cost effective manner. 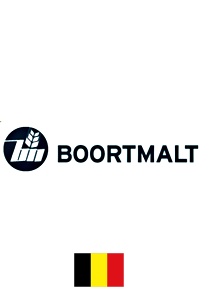 From 10 locations in Europe, BOORMALT branches out into the World with 50% of its total volume of trade stemming from developing markets outside of Europe. Through our parent company Axereal, the largest French grain cooperative we guarantee our customers access to high quality barley year round. Our vision is to become the best maltster in the world (not necessary the biggest) supported by our mission to be the top 3-innovative malt supplier producing quality maltsin benchmark maltings.